This has to be the ultimate geeky accessory for Star Wars fans, the Death Star Cookie Jar. 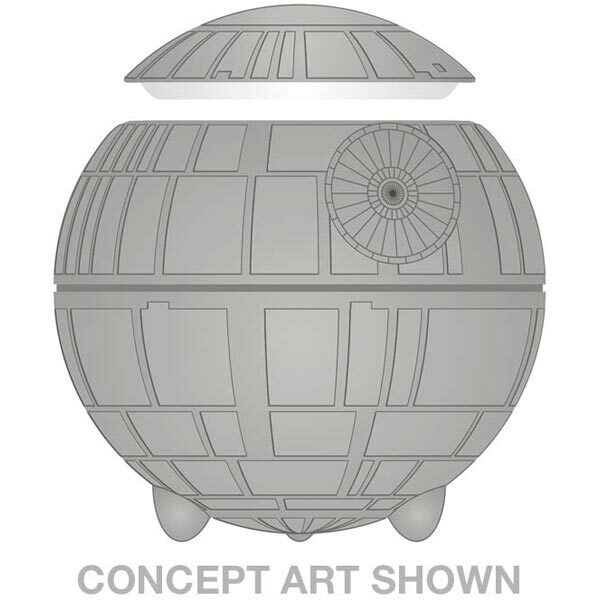 The picture shown is concept art for the Death Star Cookie Jar, it will go on sale in September but you can pre-order it now, it measures 12 inches by 12 inches, a great place to store all your Darth Vader cookies. The Death Star Cookie Jar is available to pre-order for $49.99 from the Star Wars shop, and it will be shipped in December, if you want one I would order it soon as I suspect this will sell out pretty fast.